Welcome to Bouncers of Tallahassee! We are your premier source for party rentals in the North Florida/South Georgia area. Bouncers of Tallahassee is a locally owned and operated company that has been happily serving Tallahassee and surrounding areas for years. 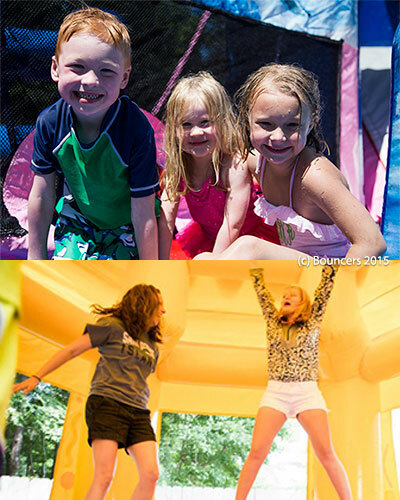 We specialize in providing the most fun and exciting bounce houses, water slides, combo jumps, obstacle courses, games, and mechanical bull available in the area. We also rent party equipment, like concession machines, tables and chairs. Bouncers of Tallahassee focuses on the satisfaction of each and every customer. We do this by providing the best customer service. We are excited to work with you to make sure your next party is a huge success! Bouncers of Tallahassee boasts the area's largest selection of bounce houses. We have several styles and designs to choose from so, you will be sure to find the bounce house your little one will love. Contact us today to see what we can do for you.